In 2010, the ILO’s Microinsurance Innovation Facility introduced a knowledge management framework, aligning its research and communication strategies and new approaches for improved capture, analysis and sharing of lessons learned from its activities. ILO Online spoke with Craig Churchill, Head of the ILO’s Microinsurance Innovation Facility about the benefits of the new approach. 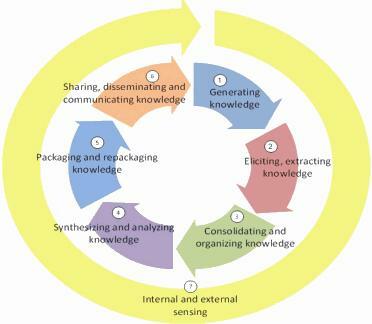 What made you go into knowledge management (KM)? Craig Churchill: The mission of the Facility has always been about learning. As we have finished our five rounds of grants, we needed to maximize the potential of the information that our 55 grantees harvest when implementing their projects. The goal of the KM framework is to learn how insurance can best benefit low-income households, and to use this knowledge to contribute to the development of appropriate insurance products for low income people, successful business models and effective education approaches. Concretely, we needed to have a blue print, coupled with appropriate systems and tools to capture and disseminate lessons from the field. The KM strategy is what will help us to go beyond the mere implementation of microinsurance projects that we fund and into the replication of successes and learning from failures by the greater microinsurance community. Concretely, how do you extract information and turn it into knowledge? Craig Churchill: The Facility relies primarily on its innovation grants programme to churn out useful lessons. Each grantee implements a learning agenda that strives to answer concerns that are core to their organization. Knowledge capture is done by implementing a series of reporting and information extraction processes and tools. One of the key tools is the Learning Diary, a simple yet reflective tool used to capture lessons that a project generates while working toward its milestones. The knowledge capture activities are supported by the KCapture component of the Facility’s Knowledge Management Portal where grantees can upload, consolidate and share information. This KCapture component, which is still in beta version and accessible only by our grantees for confidentiality reasons, enables the Facility to centralise the information in one location facilitating not only grantees reporting, but also allowing the Facility to organise, consolidate and analyse the emerging lessons and trends more effectively. What are you doing with the lessons you collect? Craig Churchill: We have set up on our website a Knowledge Center which is a comprehensive microinsurance information sharing platform that enables users not only to learn from what others are doing, but also share their own experiences, and connect with other practitioners. Moreover, the Facility uses a variety of tools to package knowledge. Grantee specific lessons are shared using the online Learning Journey documents which are chronological and narrative accounts of all lessons learned by a partner during project implementation, including challenges and successes. Lessons along thematic lines are shared in online Thematic Pages, and in publications such as the Microinsurance Papers and Briefing Notes. Lesson alerts are also sent via email to microinsurance players in what is called the “Emerging Insights” series which provide bite-sized lessons on a variety of topics from microinsurance practitioners, such as the use of scratch cards or why targeting migrants, and not their families, makes more sense. All these tools are available in the Facility’s Knowledge Center. More engaging tools are likewise being used, including webinars (i.e. online presentations and seminars) on key microinsurance issues, videos on specific lessons available on YouTube, discussion forums for online exchanges, and other social media tools. Conferences and workshops, as well as capacity building activities are also important forums for disseminating the emerging experiences of grantees and partners. What do you want to achieve through gathering and disseminating lessons? Craig Churchill: Generating the lessons is only half the battle. We also need to make sure that we actively promote the emerging experiences so that ‘do’s’ are replicated and ‘don’ts’ avoided. To influence microinsurance practitioners, however, it is not enough to publish a book or put information on a website. These passive knowledge dissemination methods must be complemented with efforts to proactively encourage the adoption of good practices. We are likely to have greater success in changing behaviours and practices through interactive dissemination tools. The Facility’s capacity-building activities are therefore a critical dissemination strategy for influencing the practices of microinsurance providers at large. On the one hand, we need a larger cadre of experts who understand the lessons and are interested in a career path that enables them to propagate the findings of good and bad practices. They will act as the lessons champions. But we are also busy with setting up curriculum modules for insurance training centers, co-organizing trainings with Business schools (such as with the Gordon Institute of Business in South Africa) and using for workshop the Harvard Business case methodology to share with practitioners hands on knowledge that can help them reflect on the viability of their business and improve the value they offer to their clients. To assess the impact of the knowledge we produce is not an easy task. The point is not really to figure out how many people have used it but – more importantly – how they use it so that a greater number of low-income people benefit from quality risk mechanisms.